SCL-MSSR is intended to be used for air traffic control for the civil authorities as an information source about aircraft location and movement parameters. The system complies with all the ICAO requirements and is built using the latest, best known technological improvements over this type of systems. It can be used either separately or with a Primary Surveillance Radar (Shoghi PSR). The system has a very open and flexible architecture, configurable according to the client requirements and the needs of the different sites, such as its communication architecture and maintenance network. SCL-MSSR can simultaneously track location and movement parameters of 500 aircraft in air per scan with 50 aircraft in a 10o sector. It can work in extreme weather conditions with wind speeds exceeding 100 kmph. To provide the high availability the Shoghi MSSR is equipped with high level of integration and modularization using the latest well proven technologies with hot stand-by redundant configuration. 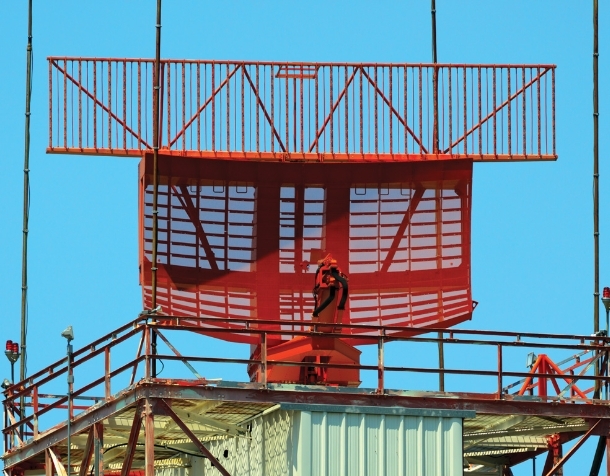 Monopulse L band surveillance radar which caters to modern ICAO requirements for use in air traffic control. Can simultaneously track location and movement parameters of 500 aircraft in air per scan with 50 aircraft in a 10o sector. Can work in extreme weather conditions with wind speeds exceeding 100 kmph. Standard radar design with UCL certification. High level of integration and modularization using the latest well proven technologies with hot stand-by redundant configuration in operational equipment to meet system availability.